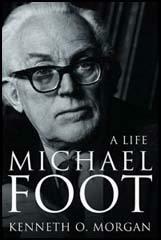 Michael Foot, the fifth son of Isaac Foot, the Liberal Party MP for Bodmin, was born on 23rd July, 1913. Foot was educated at Leighton Park, a fee-paying school in Reading. He went on to obtain a second-class degree in Classics at Wadham College. In 1933 he became president of the Oxford Union. After leaving university Foot found employment in a shipping firm in Liverpool. He was also an active member of the Labour Party and was an unsuccessful parliamentary candidate for Monmouth in the 1935 General Election. Foot now moved to London seeking a career in journalism. After being rejected by Kingsley Martin, the editor of the New Statesman, he began working for The Tribune, a newspaper founded by Stafford Cripps. He soon became close friends with two of the newspaper's writers, Aneurin Bevan and Barbara Betts. In 1938 Stafford Cripps sacked William Mellor, the editor of the newspaper. He tried to persuade Foot to take the job. However, as Mervyn Jones has pointed out: "It was a tempting opportunity for a 25-year-old, but Foot declined to succeed an editor who had been treated unfairly." Instead, Aneurin Bevan arranged for Foot to work for the Evening Standard, a newspaper owned by Lord Beaverbrook. Foot and Beaverbrook soon became good friends. This surprised his left-wing colleagues but Foot admitted: "I loved him, not merely as a friend, but as a second father". Beaverbrook was a supporter of appeasement but in 1940 he changed his views and employed Foot to write leaders in the newspaper that attacked the policies of the government. Foot now joined forces with Frank Owen and Peter Dunsmore Howard to publish The Guilty Men. The book was an attack on the politicians who were associated with appeasement. This included Neville Chamberlain, Lord Halifax, John Simon, Samuel Hoare, Ramsay MacDonald, Stanley Baldwin and Kingsley Wood. The following year Foot and a group of friends established the 1941 Committee. One of its members, Tom Hopkinson, later claimed that the motive force behind the organization was the belief that if the Second World War was to be won "a much more coordinated effort would be needed, with stricter planning of the economy and greater use of scientific know-how, particularly in the field of war production." Other members included J. B. Priestley, Tom Winteringham, Edward G. Hulton, Kingsley Martin, Richard Acland, Michael Foot, Peter Thorneycroft, Thomas Balogh, Richie Calder, Tom Winteringham, Vernon Bartlett, Violet Bonham Carter, Konni Zilliacus, Tom Driberg, Victor Gollancz, Storm Jameson, David Low, David Astor, Thomas Balogh, Richie Calder, Eva Hubback, Douglas Jay, Christopher Mayhew, Kitty Bowler and Richard Titmuss. In 1942 Foot bacame acting editor of the Evening Standard. However, Foot's socialist views antagonized Lord Beaverbrook and in 1944 Foot resigned from the newspaper: "Your views and mine are bound to become more and more irreconcilable. As far is this socialist business is concerned, my views are unshakable.... There does not seem much sense in my continuing to write leaders for a newspaper group whose opinions I do not share and some of whose opinions I strongly dissent from. I know you never ask me to write views which I disagree. But as this works out is is good business neither for you nor for me." Foot wrote a regular column for the Daily Herald as well as contributing to The Tribune and the New Statesman. In the 1945 General Election Foot won Plymouth Devonport. In the House of Commons Foot became associated with the left-wing of the party led by Aneurin Bevan. Foot was critical of Clement Attlee and his government, especially the foreign policy being followed by Ernest Bevin and was a founder member of the Campaign for Nuclear Disarmament (CND). In 1947 he joined forces with Richard Crossman and Ian Mikardo to write the pamphlet Keep Left. The following year he became the editor of The Tribune, a post he held for four years. Michael Foot met Jill Craigie while she was making a filmed documentary about the rebuilding of heavily bombed Plymouth. They were married in 1949 and remained together until her death in 1999. Foot was defeated in the 1955 General Election and as a result returned to the editorship of The Tribune. He also published The Pen and the Sword (1957), a book about Jonathan Swift. Foot returned to the House of Commons when he won Bevan's old seat at Ebbw Vale in November, 1960. Foot immediately clashed with Hugh Gaitskell, the party leader, and was deprived of the whip for voting against the defence estimates. It was restored when Gaitskell died in 1963. During the 1964 General Election campaign, the new leader, Harold Wilson promised to modernize Britain. Making full use of his academic background and poking fun at the aristocratic Alec Douglas-Home, Wilson was able to obtain a five-seat majority in the House of Commons. After the 1966 General Election this majority was increased to 97. Foot was a fierce backbench critic on several issues including wage restraint, the Vietnam War and Rhodesia. When the Labour Party lost the 1970 General Election, Foot, aged 57, accepted a place on the opposition front bench and was given the task by Harold Wilson of opposing British entry to the European Economic Community. When he first appeared on the Labour front bench a journalist observed that "it was as if Mrs Mary Whitehouse had turned up in the cast of Oh! Calcutta!". Edward Heath, the new prime minister, came into conflict with the trade unions over his attempts to impose a prices and incomes policy. His attempts to legislate against unofficial strikes led to industrial disputes. In 1973 a miners' work-to-rule led to regular power cuts and the imposition of a three day week. Heath called a general election in 1974 on the issue of "who rules". He failed to get a majority and Harold Wilson and the Labour Party were returned to power. Wilson appointed Foot as his Secretary of State for Employment. Foot began by settling the miners' strike which had toppled the Conservative government. Over the next two years he restored trade union rights lost in Heath's Industrial Relations Act. He also created the Advisory, Conciliation and Arbitration Service (ACAS) and the Health and Safety Executive. When he left the post in April 1976, one of his senior servants commented: "You posed a quite exceptionable challenge to my powers of obstruction." Foot took on James Callaghan for the leadership of the Labour Party when Harold Wilson retired in 1976. Callaghan defeated Foot and he had to be satisfied with the post of Lord President of the Council and leader of the House of Commons. Margaret Thatcher won the 1979 General Election and Foot returned to the backbenches. The following year Callaghan resigned and Foot defeated Denis Healey for the leadership of the party. The Daily Telegraph argued: "Two days later he fell downstairs and had his leg encased in plaster. The accident created an image of Foot which he was never able to throw off, that of an old man struggling gamely, but ineffectively, against manifold physical disabilities. It was true that, since a bad car crash in 1963, he had been obliged to walk with a stick; while in 1976 he had lost the sight of an eye after an attack of shingles. But Foot did not lack energy; his problem was that he was crippled politically." As a result of Foot's victory, 25 right-wing Labour MPs formed the Social Democratic Party. Foot in the first few months after his election as Labour leader, opinion polls showed a double-digit lead over Thatcher. In early 1981, four senior politicians from the right-wing of the party, Roy Jenkins, Shirley Williams, David Owen and William Rodgers, left Labour to form the Social Democratic Party. Thatcher still remained unpopular, and polls suggested that the SDP would form the next government. Foot was more popular that Thatcher until the 1982 Falklands War. The journalist, Matthew Norman wrote: "What if the frictions of 1982 had been resolved, as the present ones will be, by diplomacy? Without that war, which, as a venerable foe of fascist dictatorship Mr Foot felt obliged to support, would Margaret Thatcher have been sunk by the employment exclusion zone she'd imposed on three million people?" Foot published a left-wing manifesto for the 1983 General Election. This included unilateral nuclear disarmament, withdrawal from the Common Market, the re-nationalisation of industries privatised by the Thatcher government, the abolition of the House of Lords, an annual wealth tax and a large increase in public investment. The Labour MP Gerald Kaufman described it as "the longest suicide note in history". At 27.6%, Labour's share of the poll was the lowest since the 1920s. Foot immediately resigned as leader of the party and told the annual conference: "I understand the scale of the defeat which we suffered at the general election... I am deeply ashamed that we should have allowed the fortunes of our country and the fortunes of the people who look to us for protection most… to sink to such a low ebb." Foot remained MP for Ebbw Vale until 1992. Books by Foot include a two volume biography of Aneurin Bevan, Aneurin Bevan: 1897-1945 (1962) and Aneurin Bevan: 1945-1960 (1973), Debts of Honour (1980), Another Heart and Other Pulses (1984), Loyalists and Loners (1986), Politics and Paradise (1988), HG: the history of Mr Wells (1995), Dr Strangelove, I Presume (1999) and The Uncollected Michael Foot (2003). Steve Richards wrote: "His principles were always strongly held. Last year (2009) he wrote a letter to The Guardian on nuclear disarmament, his deepest passion. By then he could hardly walk or see, but still had an undiminished interest in events and of course the way they were reported." 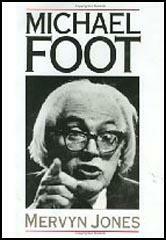 Michael Foot died after a long illness on 3rd March 2010. After the 1935 general election, however, Mellor acquired a second disciple and Barbara a close and enduring friend. Michael Foot had deserted his family's Liberal tradition - his father and one of his brothers were Liberal MPs - for Labour. After contesting Monmouth in the general election at the precocious age of twenty-two, he had come to London to work as a journalist. Cripps, whom Foot had met at Oxford where he had been a friend of his oldest son John, sent him to see Mellor, with a view to getting work on the Tou,n and County Councillor. Barbara's friendship with Foot was uncomplicated and stimulating; their backgrounds were similar, and so were their outlooks - radical, passionate, romantic. Three years younger, Foot had gone up to Oxford in the same year that Barbara came down. He was quick and funny and clever, and a much needed companion, someone to ease the enforced loneliness of the mistress of the married man. Sixty years later he denied there was any more to it. He claimed that he knew about the affair and, if nothing else, loyalty to Mellor would have made it unthinkable for him to take his relationship with Barbara any further. 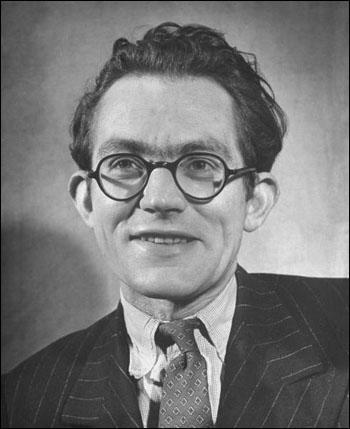 Barbara always claimed she was not beautiful enough for Michael Foot, that he was too ugly for her (he was still suffering from chronic and disfiguring eczema). They read together, sometimes for fun, often in pursuit of political knowledge - Marx, Beatrice Webb, Dickens - a reading course prescribed by Mellor. (2) In an article written for the Evening Standard in November, 1938, Michael Foot wrote an article about the assassination of Walter Rathenau in 1922. Today 400,000 German Jews are persecuted while a disciplined people shout their approval. Sixteen years ago one German Jew was murdered. He heard the roar of a pounding engine behind him. A high-powered six-seater tourer shot alongside. It was almost a crash. Suddenly a muffled figure ripped out a revolver, rested it on his armpit and fired. The England of the Conservative party condoned fascism, consorted with fascism, connived at imperialist war, abandoned any hope of building a sane and secure international society. It was the England of the left, the England of Labour, it was the resurrection of this other England which saved the world, and the hopes of the European revolution will depend on which England rules as the fighting subsides. (4) Michael Foot was highly critical of Neville Chamberlain and his appeasement policy and welcomed his resignation on 10th May, 1940. Churchill, on his entry into the Commons, was greeted with loud Labour and Liberal cheers, but with almost total silence on his own side. So deeply ingrained was the subservience to Chamberlain among the men who still retained a parliamentary majority. This fact was quickly blotted from the public memory. 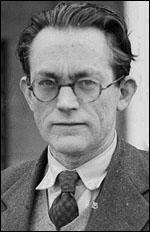 (5) In 1944 Michael Foot resigned as editor of the Evening Standard. He explained his decision in a letter to Lord Beaverbrook, the owner of the newspaper. Your views and mine are bound to become more and more irreconcilable. As far is this socialist business is concerned, my views are unshakable. For me it is the Klondyke or bust, and at the moment I am doubtful whether I am going the right way to Klondyke. There does not seem much sense in my continuing to write leaders for a newspaper group whose opinions I do not share and some of whose opinions I strongly dissent from. I know you never ask me to write views which I disagree. But as this works out is is good business neither for you nor for me. Temperamentally, Foot was far better suited to criticism than construction. In his mental universe idealistic Socialists strove heroically against the dastardly machinations of capital and privilege. While he could admire an unprincipled adventurer like Disraeli, or a self-destructive logician like Enoch Powell, he felt only withering contempt for Tories anxious to protect interests for which they had neither toiled nor spun. For most of his life he appeared to regard with even more loathing the Labour Judases who compromised the one true faith. As a backbench zealot of the Left, Foot had regularly flouted the Whips, sallying forth like the Levellers or Ranters of old in defence of Socialist virtue. His literary heroes – Swift, Hazlitt and Byron – were all rebels, and Foot was proud to stand beside them against the dragons of reaction. He was a fine speaker, at his best when addressing a vast meeting with the moral fervour of an Old Testament prophet, but also an accomplished performer in the House of Commons, where even opponents delighted in the wit and venom that poured from him. Yet the ideologue who appeared in public debate to be drained of all sympathy for his enemies presented a different face in private. Foot was wholly without vanity or side, and part of him eagerly withdrew from the arena to indulge his literary tastes. Away from the hustings he became an immensely likeable man of charm and sensibility, exuding in every contact the courtesy and kindliness conferred upon him by his middle-class Methodist background. Michael Foot, the most improbable literary romantic to lead a major British party since Benjamin Disraeli, has died at the age of 96 after a turbulent political career that left him a much-loved but also deeply controversial figure. Even before Michael Foot's death, the current tensions with the government of Argentina over South Atlantic property rights presented a gift for fans of the what-if school of modern history. What if the frictions of 1982 had been resolved, as the present ones will be, by diplomacy? Without that war, which, as a venerable foe of fascist dictatorship Mr Foot felt obliged to support, would Margaret Thatcher have been sunk by the employment exclusion zone she'd imposed on three million people? Would the longest suicide note in history have been transformed into a billet doux to which the electorate responded by peppering the ballot papers with Labour kisses? And would he have survived in office, this wry and captivating firebrand, for long? A little while earlier, Chris Mullin had written A Very British Coup. Would the British establishment, and more pertinently Ronald Reagan's White House, have tolerated a unilateralist running America's leading anti-Soviet ally and most priceless strategic dominion? If Prime Minister Foot had ordered the Yanks to pack up their air bases and clear out at a high point of Cold War paranoia, might we have seen a constitutional crisis like the one in Mr Mullin's novel? Assuming it survived, would a Foot administration have bowed to realpolitik and steered the country in the same reformist direction, albeit along less choppy sea lanes, as Mrs Thatcher, or stuck to its socialist guns? Or might Mr Foot's laissez-faire approach to leadership (and he was resplendently hopeless in the role) have led colleagues to move against him immediately, just as Herbert Morrison schemed to oust Clement Attlee in the hours after his landslide defeat of Churchill in 1945? Enormous fun as it is to imagine the development of dramatically different time lines, the oddity is that no one could have been less interested in the what-if game than Michael Foot. Perhaps it isn't odd at all. Perhaps he just wasn't that bothered. No one who ever led a technically electable British political party seemed so uninterested in the acquisition of power, so free from anguish at failing to acquire it, or so without rancour at the betrayals of the successor who did. I met Mr Foot only twice, once at a Tribune dinner not long before 9/11, and again at a neighbour's house after the invasion of Iraq, and his loyalty to people as well as principle was chastening. The first time, in Soho, I returned from the gents with some facetious reference to the Tom Driberg Memorial Suite (the Gay Hussar loo in which that singular Labour MP liked to indulge his altruistic passion for fellating newly introduced gentlemen). "Whaaaarrrgghhhhh!" harrumphed Mr Foot, slapping an outraged thigh. "Don't upset him," his wife Jill Craigie admonished. "Michael's terribly loyal to Tom's memory." He was equally loyal to Mr Tony Blair, whom several of us tried to entice Mr Foot into slagging off. He wasn't having any. Early days was the Foot line on the young superstar for whom he campaigned in 1983; and anyway, Labour is a great movement, not one man. But this was a coup d'etat, I wittered, executed against that movement by four of five men. No, no, he's a fundamentally good chap, rebuked Mr Foot, and the party will civilise him (I paraphrase slightly) in the end.